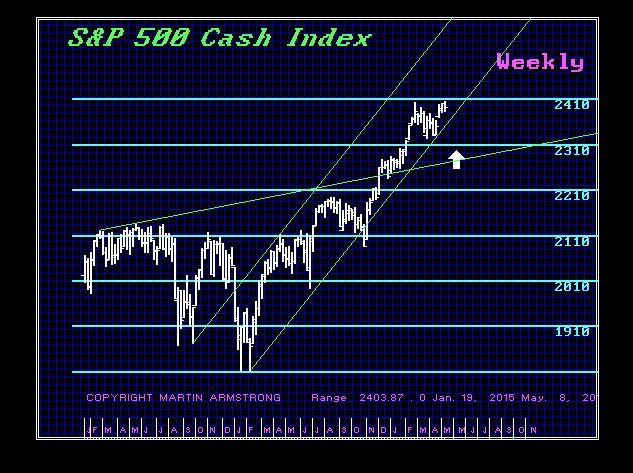 US Share Market – Still Up or Correction? QUESTION: Marty you warned previously that an April high would have the potential to create an important temporary high with a decline into 2018 and then a slingshot up. Is that still a possibility? ANSWER: Yes. 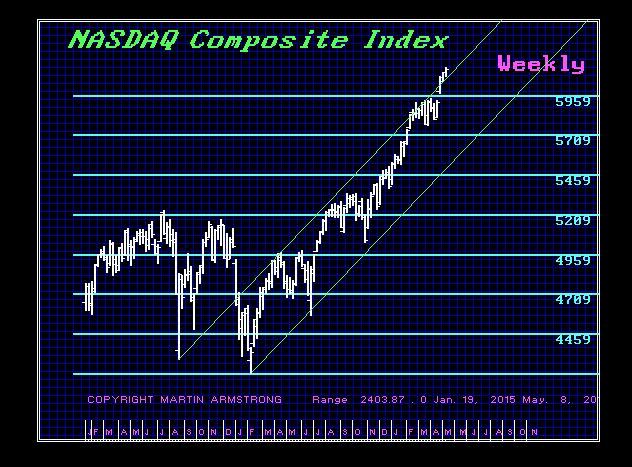 We have the S&P500 and the NASDAQ Composite making new highs but NOT the Dow. This raises some concern that a correction is still possible. The Dow needs to make new highs above April intraday and on a monthly closing basis. This is a tall order right now. This will warn we are consolidating sideways and preparing for the breakout. 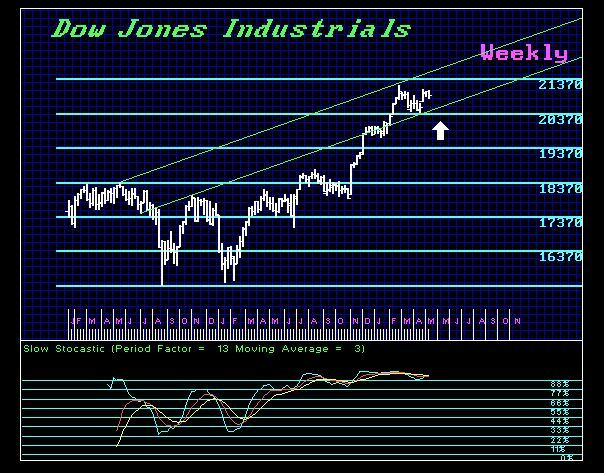 The support on the Dow remains at 20,000 on a Weekly Closing basis. The majority has to be wrong for they are the fuel that drives the market. We have had nothing but bearishness in the bull market which has exceeded the 2007 high by nearly 50% yet throughout the rally everyone is bearish. This has been the fuel that made it rally. You even have people touting short the S&P500 and buy Emerging Markets. That has to be a suicide mission. Then you have people touting Europe is a wonderland and the Euro will be fine because Macron won. Of course these are Americans who obviously do not have clients in Europe nor do they visit often. Sure the Euro will rally for the key resistance is still in the 113-114 level. We will be releasing a special report after the HK World Economic Conference just on the Dow, S&P500 and NASDAQ with timing. The broader market is rising and the Dow has flattened out. This is in part due to people assuming the Macron victory relieves the bearishness for Europe. On the other hand, our risk is Trump. 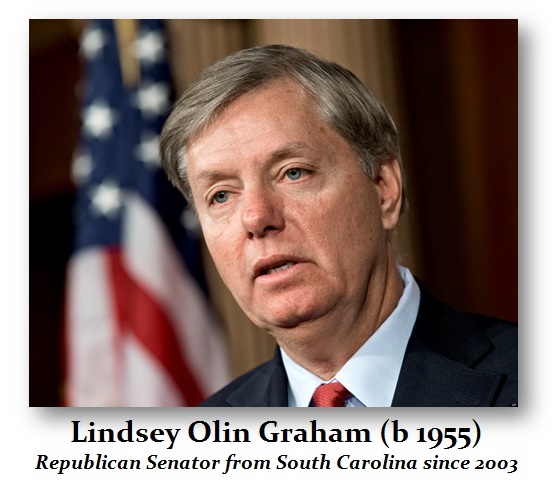 If Trump ever gets his act together and stops making stupid decisions that hand controversy to Democrats and ruthless pretend Republicans like Lindsey Graham, who backed the bill to allow the government to imprison people without a trial indefinitely for life and denied lawyers, then maybe we can get the tax cuts. Without the tax cut boom, we still have the chaos of Europe, and rising geopolitical tensions outside the USA. Those issues alone are capable of sending the dollar to the moon – but not yet. That’s still what we need to break the back of this monetary system and those cracks appear likely starting next year. Lindsey Graham is a disgrace to our government and he is not qualified to dare criticize Trump for anything no matter how stupid Trump is. Graham is just an unconstitutional embarrassment. Graham and McCain are the biggest threats to our political-economy moving forward. They are protecting the establishment and are two people who I do not believe should be in Washington, and certainly do not trust them for a second. McCain would invade Canada to get even for his capture and betrayal of reading propaganda messages for the Vietnamese.